We’re delighted to partner with Mere-based florists, Sprout & Flower, for our 2-day flower spectacular event. Sprout & Flower specialise in offering fresh garden style flowers, cut herbs and summer foliage presented in delightful, rustic bouquets. Join us for your chance to win a stunning Sprout & Flower floral bouquet presented in our beautiful Engraved Hurricane Vase. Coffee and cake available all day. Look forward to seeing you there! Situated in a charming market town, on the edge of the Blackmore Vale, our Sherborne Store is home to a wide range of our collections. 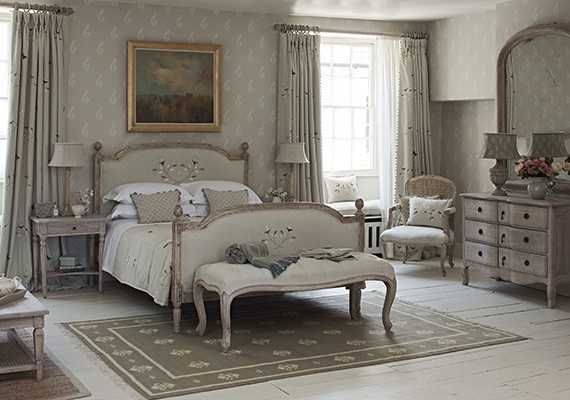 You will find a selection of our key pieces, including our hand-carved furniture, hand-printed fabrics, handmade cushions and hand-painted ceramics. 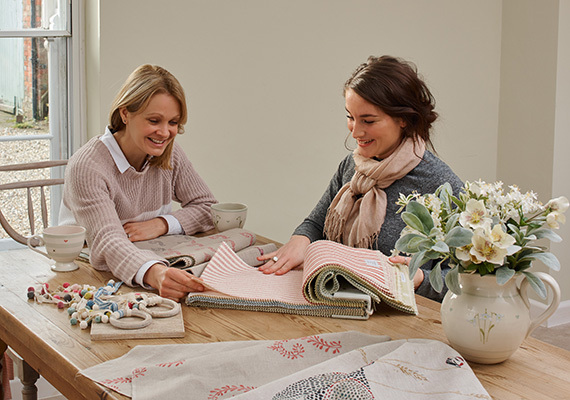 Our resident Interior Designer, Lotte is here to offer advice and inspiration to create the perfect look for your home. 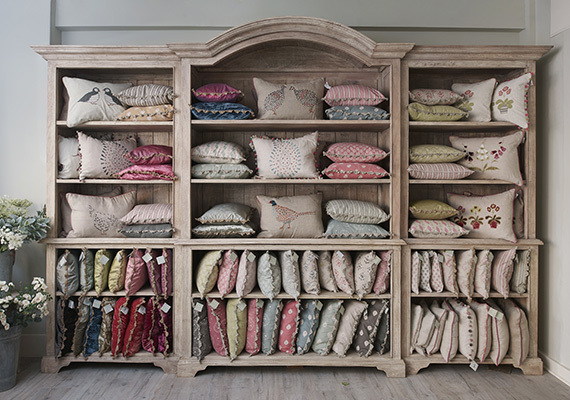 From cushion combinations to a bespoke full interior design service, Lotte is on-hand to help you design and decorate your space. 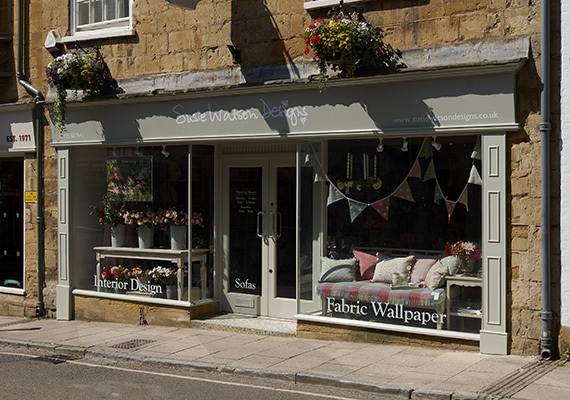 To contact Lotte, please call 01935 814 503 or email sherborne.fabrics@susiewatsondesigns.co.uk. Sherborne is a beautiful twelfth Century market town, located on the Dorset and Somerset border. You'll find us on the enviable Cheap Street; home to a wide range of independent stores and just a short walk from the famous Sherborne Abbey and the town's two castles. Parking: is available at Culverhayes Car park. Train Station: The nearest train station is Sherborne Train Station, 0.4 miles from the store. 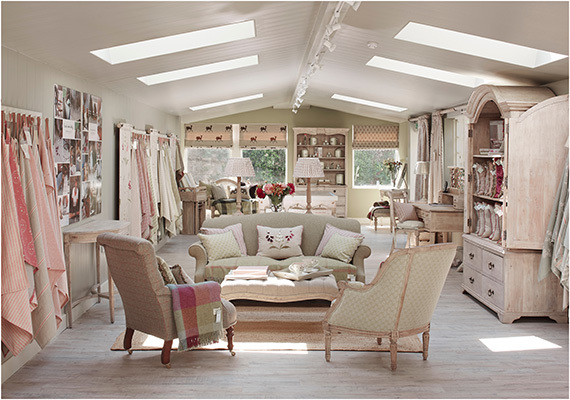 Dogs: Well behaved dogs are more than welcome in our Sherborne showroom.